ENGAGE involves youths and young adults living with disabilities through sports to bring transformational changes in their living conditions. In doing this we also value our work with their peers without disabilities. Sports positively impact the players' lives by translating and incorporating key learning from the court into positive attitudes and behaviors directly benefiting their daily lives. 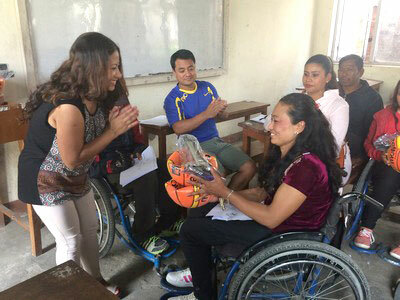 Sports also help to project a different and positive image of disabilities within the broader society, showcasing the talents and skills of youths and young adults living with disabilities, contributing in setting the foundation for a paradigm change in the way society perceive people with disabilities. AS FOR NOW OUR FOCUS IS ON WHEELCHAIR BASKEBTALL. WE ARE NOW CONCENTRATED ON STRENGHTENING THE SPORT BUT IN FUTURE WE MIGHT CONSIDER ALSO THE OPTIONS TO START NEW SPORTS. 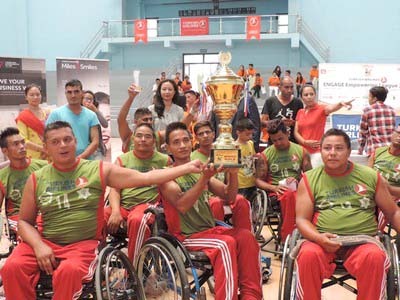 Connect with youths and young adults who are wheelchair users and work with them to establish local wheelchair basketball teams. Encourage and support the players in organizing micro level campaign actions to advocate for disability rights.